A person gets stressed (cue), smokes a cigarette (routine), and gets a hit of nicotine (reward). A person gets bored (cue), gambles at the casino (routine), and gets the thrill of almost winning someone else's money (reward). A person gets hungry (cue), raids the cookie jar (routine), and gets a sugar rush (reward). Any of this sound familiar? Never mind that these habits don't necessarily work in our best interest: smoking begets lung cancer; gambling begets poverty; cookie jars beget obesity. Further, many of our habits were established outside of our conscious control. We just, well, kinda end up with these habits, and they end up running our life. Or ruining our life. Depends on the habit. First look at the routine. Easy enough right? The routine is usually the part you want to change. Ever had the thought run through your head "Why do I always..." fill in the blank. There you go. For this guy I know, the routine was that he always got the munchies in mid-afternoon. 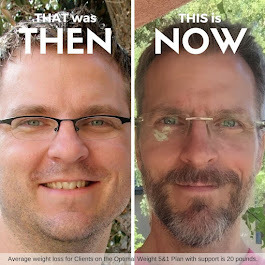 He'd rise from whatever he was sitting on at the moment, glide on auto-pilot to the kitchen, procure whatever was handy, and eat more than he actually needed to sustain his sedentary metabolism. After stuffing himself, he'd lumber back to his place, plop down in his chair, and wonder how it was that this happened again. Hadn't he resolved to never do this again? Didn't he know that such behavior was not in the best interest of his health? He'd fight back the guilt, strengthen his resolve, and promise never to do it again. Then the next day the same thing would happen. Doh! Why?! Next we need to examine the reward: why are you actually doing whatever it is you're doing? For the thrill? To satisfy an appetite? To combat stress or boredom? The reward is not always what you think it might be - it might be something as simple as a feeling of peace or escape or control (real or imagined), even if only for a moment. In the case of our Munchies Man, after some soul-searching, he determined that by mid-afternoon he needed a little pick-me-up (who doesn't, right? ), so off he'd go in search of metabolic fuel. For Munchies Man, by mid-afternoon, his energy was low, and I'm pretty sure the cue had something to do with that feeling you get when your eyes glaze over but you forget to blink because you're already half asleep. Know that feeling? You know, after staring at a computer monitor most of the day, just sitting there, staring, your life slowly draining out through your eyeballs, an hour at a time? That feeling? That was my cue! I mean, Munchies Man, that was his cue! That would trigger the routine! Okay fine, it was me. You figured it out, aren't you clever. Once the routine, the reward, and the cue are identified, you can a) be on guard, and b) experiment with different routines to satisfy the reward. If you can come up with alternate routines that satisfy the reward while supporting your health goals, and you do it often enough, partner, you may just be able to establish a new habit. In my case, what I've learned from Dr. A's Habits Of Health is that low energy + perceived hunger actually means I'm thirsty - not hungry. I need water, not food. I've carried a Nalgene water bottle with me for years, but I'd never put any real thought into when I drink my water. These days I try to make sure I'm ahead on my water consumption throughout the day, and pay particular attention to my feelings in mid-afternoon. If I feel my energy ebbing and the munchies creeping up on me, I chug some water, wait a few minutes, and all is well with the world. Same cue, same reward, different routine. None of this guarantees that the habit will change right away, but knowledge is power. And any ounce of advantage I can squeeze out of my psyche - hey, I'm gonna take it.